Entering into the world of performing arts in the British theater scene of the 1960s, the practice of collaborative creation (later becoming devising or collective creation - as in the North American space) proposes to renounce the classical subordination within the theatrical system: the performance text is no longer a priori, being born from an idea, theme, etc. The director, as for example, in the Regietheater, is not the only coordinator of the performance. The actor gains equal power in the creative process of the performance, while the stage designer, the choreographer and the light-designer become an integral part of the theatrical product development. Once ordered hierarchically, the artistic collaboration proposes active participation in equal proportions for all artists. The construction system of the performance often calls for improvisation and play, but especially for the analysis of the ”other” (director, actor, playwright, stage designer, light-designer, etc.) to shape the artistic material according to their own coordinates. The theater that uses the devising or collective creation techniques proposes alternatives to classical theater. Does it also offer a new aesthetic? What would be the demarcation lines on artistic laws for the aforementioned techniques? What is the position of the playwright in the theatre companies and groups that embrace the devising tools? Does collective creation require the actor to develop new methods of constructing the role? Does the character, be it dramatic or scenic, remain just a shadow of what he has meant throughout its history? What happens to the old hierarchies in the creative process? Are we really dealing with a democratic creative space or does the ”inferior” and the ”superior” continue to exist, but wearing new clothes? Who is the specialist arranging the stage material? Are the produced ideas and themes addressed only to a category of audience? Are ”social” and ”political” suitable labels for the performances that use such creative practices? These are just a few possible research paths for the theater and its overlapping with devising or collective creation. Our conference aims to attract academics, researchers and PhD students. We invite you to send the summaries (max. 400 words) in English, French, Romanian or Hungarian and the institutional affiliation of the authors, by e-mail (in a Microsoft Word-compatible format), to Balási András (balasi.andras1@remove-this.gmail.com) and Raluca Blaga (raluca.balan@remove-this.gmail.com) by 15th of October 2017. The conference will be held in English, French, Romanian and Hungarian. The Scientific Committee will select the works to be attended by the conference before 1st of November 2017. 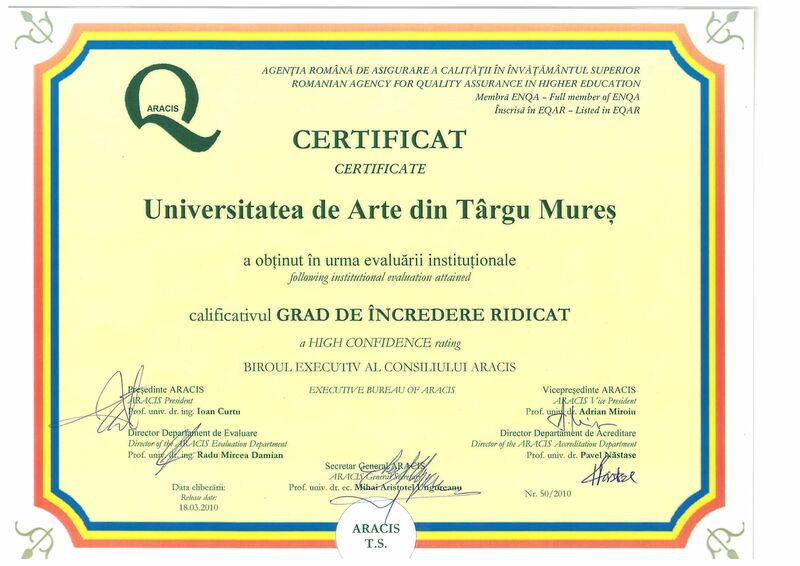 The papers will be published in Symbolon (Academic Journal of the University of Arts Târgu-Mureș).